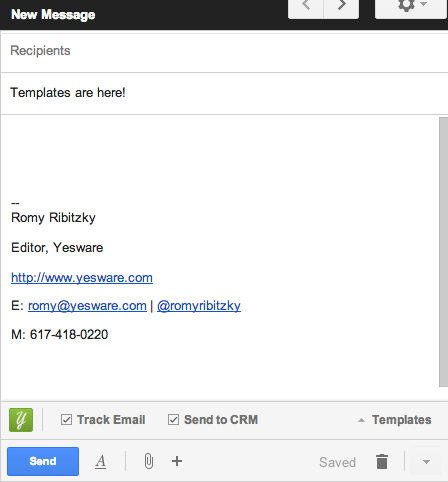 One of our key features at Yesware is providing salespeople templates that help them close more deals faster. For those of you who have missed your template functionality since Gmail migrated to its new user experience, we’re pleased to announce today our enhanced templates for the new Gmail compose. 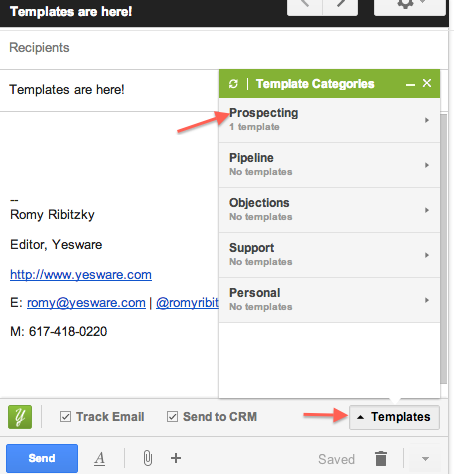 To write an email from one of our existing templates, simply click on ‘Compose’ within your Gmail mailbox, and select ‘Templates’ from the lower right corner of the message window. Your selected category will show the templates available for use. Click on any template for a preview of that template. If you’d like to use this template, click the green ‘Use’ button and it will be inserted into your message. (you can double-click any template to quickly insert it) If you’d like to preview a different template, simply click on it. 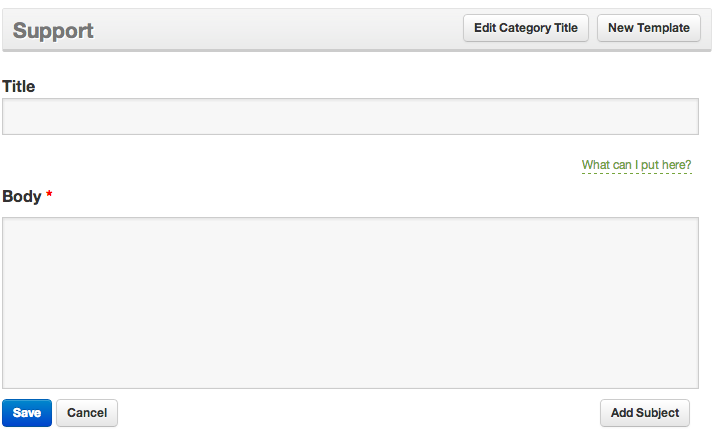 To create a new template, hover over the parent category you’d like to save it under and click ‘Edit’. Follow the prompts to populate the ‘Title’ and ‘Body’ sections, then click ‘Save’ to add this template to your library for multiple uses. When you’re done, go back to your Gmail window and click the refresh icon next to ‘Template Categories’. You’re now ready to use your trusted Yesware templates, and add your own winning emails to close more deals and make more money. And we’re not done yet. We’ll keep adding more features to the new Compose experience, including the abilities to create, edit and share templates from Gmail. 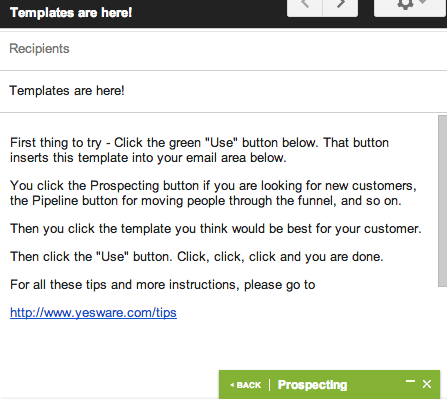 Don’t forget the Yesware Follow-Up to make the most of your reporting and learn which prospects to reach out to—first.